James A. Paretti, Jr. | Littler Mendelson P.C. 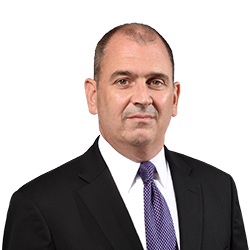 James A. Paretti, Jr. is an experienced management-side employment and labor relations attorney with in-depth political and policy knowledge of labor, pension, healthcare and employment law, regulations and legislation. Jim is well versed in all aspects of legislative and political processes with demonstrated knowledge in the substance of federal labor and employment policy. He has over two decades of experience working with federal legislators and policymakers, including former Speaker of the U.S. House of Representatives, Chairmen of the U.S. House Committee on Education and the Workforce, and senior level administration officials. Prior to joining Littler, Jim was chief of staff and senior counsel to the acting chair of the Equal Employment Opportunity Commission. He provided legal and political counsel with respect to all aspects of agency business, administered and managed the Office of the Chair where he was responsible for over 2,200 employees and a 375 million dollar annual budget, and served as primary liaison to regulated stakeholders and Capitol Hill. *Not licensed to practice law in the District of Columbia.